This months new recipe, Mean Green Breath Fighting Treats, are designed to help your dog improve her dental health from the inside out. First, the parsley and mint will help freshen any smelly odors from your dogs breath. Second, the calcium rich tofu in these breath beauties will help build strong healthy teeth. Unfortunately, for your dog, these treats are just part of the plan to keep your dogs mouth healthy and happy. Be sure to only use dog toothbrushes and approved dog toothpaste when you brush your dogs teeth. You may also want to research healthy water additives to help lessen any extra buildup that can occur. 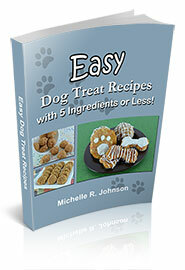 You can make healthy dog treats and make money with your own home business. But there are lots of questions to get answered first. Start by reading my review of Bake a Dog a Bone - Turning Your Passion for Pets Into Profits. Then begin planning your business and dreaming of all the sweet dogs you can help with your homemade dog treats. We're so excited to share all kinds of up-to-date health information, fantastic dog treat products and just plain fun dog stuff with you. Check out our page below and "Like" us to make sure you receive all of the wonderful doggie news. Dog Treat Kitchen is on Facebook! We've been posting fun stuff for the last couple weeks. This will show you a sample of the cute videos and interesting dog treats we will be sharing with you a couple times each week. Plus, Facebook is the quickest way to communicate with me. If you have a question, pop on over, ask your question and be sure to "Like" us, too. You can now interact with me on Facebook directly from our website. You don't even have to have a Facebook account to post your feedback or questions! Just go to a page, scroll all the way down to the bottom and click on the "Add a comment..." box to get started. I'm not just going to say thanks, I'm also going to show it. For the month of February I'm sharing all my love with you by giving you a discount on my popular eBook - 15 Easy Dog Treat Recipes with 5 Ingredients or Less! Enjoy my 15 original, tested and dog approved easy recipes with over 90 original photos. 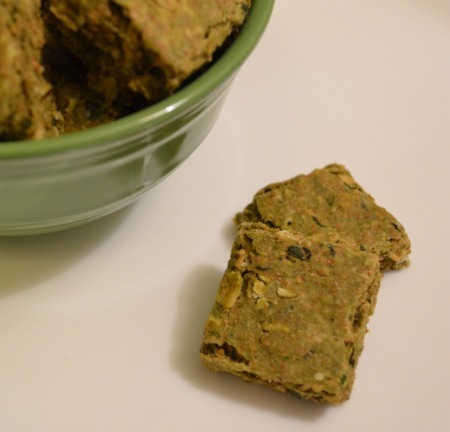 Our first choice is always to bake up a fresh, healthy and tasty homemade dog treat. Peruse our recently updated full list of dog treat recipes on our site to get a new treat idea. Second, donate your time (or money) in honor of your beloved pet to your local animal shelter. The four legged members waiting for their forever home will thank you. Third, take an extra 10 to 15 minutes to spend some quality time with your dog. When was the last time you just stroked her pretty head or rubbed that cute belly without another thought or care waiting for you? National Dog Biscuit Day - On February 23rd. I'm not sure how this day got started, but here at Dog Treat Kitchen, every day is National Dog Biscuit/Treat/Cookie/Snack/Goodie Day! "I want to thank you for the helpful hints and recipes! My German Shepherd is allergic to corn and because of this, we have to be very picky on what she can have to eat. Even when we purchased biscuits from the store that did not have corn products in it, she would still have problems. We searched for recipes to make and we found your website with lots of treats that she can eat. I can now give both my pets treats and not exclude the other. Thanks again!"